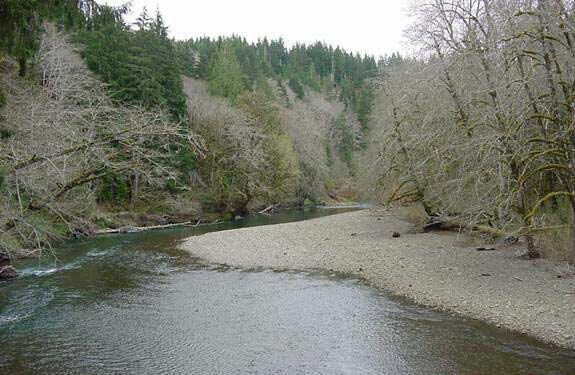 The Humptulips River is approximately 70 Miles in length and originates in the Olympic mountains, draining out into Grays Harbor. Salmon and Steelhead run hot and heavy on the Humptulips and offers up some of the best fishing in the state. Bank access is limited but well worth the trip. Humptulips river fishing access can be found below. This river is open June – March for Trout and from Sept – Jan the Humptulips is open for Salmon fishing. This fishery generally allows 6 Salmon per day and during parts of the season you can keep up to 3 adults. Humptulips River Water Levels are provided by the United States Geological Survey data system.